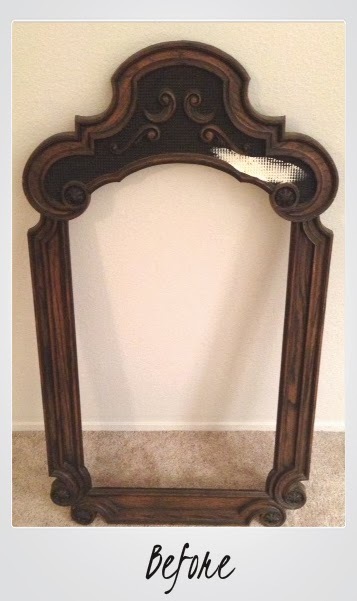 Take a peak at this stunning vintage frame. 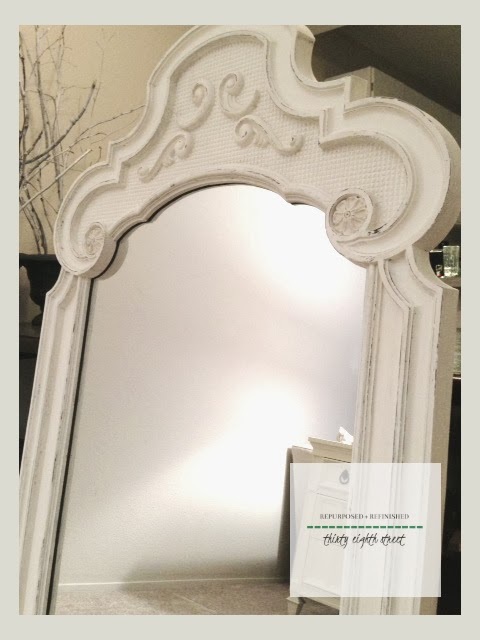 I loved all the details this mirror had to offer. Unfortunately, they were hidden in the original brown stain. 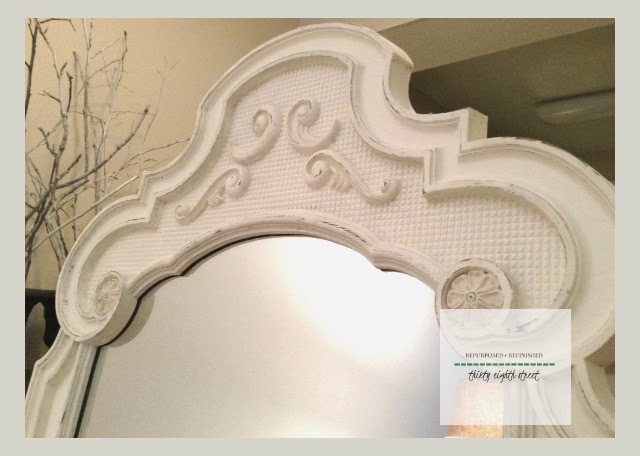 We brightened up the mirror with Chalk Paint® decorative paint by Annie Sloan in Old White and then we reversed distressed it. Reversed distress it? What's that!? I'm not a fan of distressing using sand paper. It's messy and if you sand too much can actually take the original dark wood color off. When you use ASCP, you can take a damp rag and rub the areas you want distressed. Easy peasy and no mess! See how the details pop out now? I think the term 'reverse distress' is bit of a misnomer. How about 'damp distress' instead?